This book challenges the orthodox approach to the teaching of second language listening, which is based upon the asking and answering of comprehension questions. The book's central argument is that a preoccupation with the notion of 'comprehension' has led teachers to focus upon the product of listening, in the form of answers to questions, ignoring the listening process itself. The author provides an informed account of the psychological processes which make up the skill of listening, and analyses the characteristics of the speech signal from which listeners have to construct a message. Drawing upon this information, the book proposes a radical alternative to the comprehension approach and provides for intensive small-scale practice in aspects of listening that are perceptually or cognitively demanding for the learner. 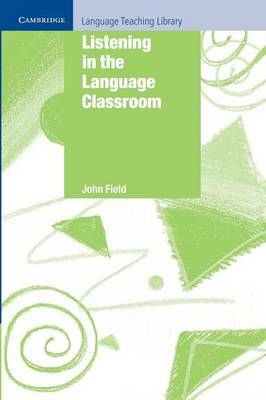 Listening in the Language Classroom was winner of the Ben Warren International Trust House Prize in 2008.